Bathurst Honda is your number-one option for a used trade-in in Bathurst, and throughout New Brunswick! Need an upgrade? Looking for an easy and quick trade-in process that gives you the best value for your vehicle? For a friendly and professional used car trade-in in Bathurst, look no further than Bathurst Honda. We offer the best value for your vehicle, as well as a fair and honest on-site trade-in appraisal service. At Bathurst Honda, you’re not just another customer – you’re family. Tired of endless searching and haggling just to get a good price? Don’t worry! At Bathurst Honda, we guarantee you’ll get the best value for your trade-in vehicle. Plus, we’ll buy your car even if you don’t buy ours! That’s right – when you trade your used vehicle at Bathurst Honda, you’re under no obligation to buy! 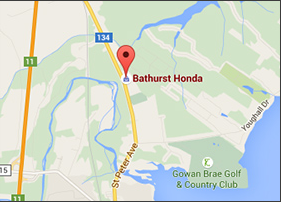 At Bathurst Honda, we do our best to give you the best value for your used trade-in vehicle in Bathurst. At Bathurst Honda, you’re guaranteed to get a fair value for your vehicle – each and every time! So what are you waiting for? 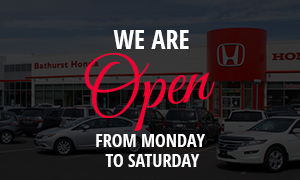 Bring your car in for a free trade-in appraisal today at Bathurst Honda! You won’t regret it!